Microsoft is stepping up their game to compete with their rival, the iPad. According to a new report by Electronista, Windows 8 on ARM tablets may ditch the traditional desktop to a Metro only design. The move seems to be a reversal from original suggestions from the tech giant. This strategy would fragment the future operating system into two categories: one where touch is the only interface and another with the complete platform installed, we would opt for the latter for obvious reasons. 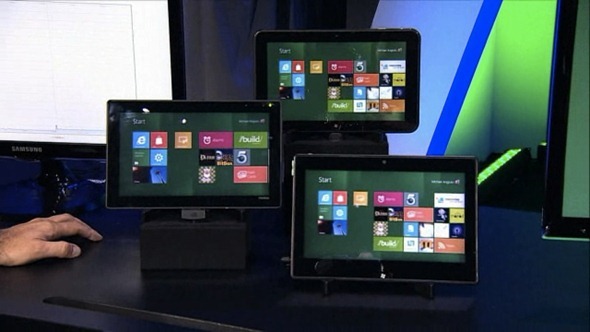 Microsoft showcased the new Windows 8 UI at its BUILD Conference in September. The new OS offers multitasking and apps, each able to run in full-size or docked mode. Users can navigate from app to app by swiping on the screen, or even running them side-by-side. Although Microsoft hasn’t confirmed or denied the rumor, technology writer Paul Thurrot stated on TWiT’s Windows Weekly podcast said that, for now, the plan is to pull the traditional Windows platform from the ARM systems. This would limit ARM to only run on tablets, a move that is likely intentional. This would force developers into creating two applications, one for Intel-based PCs and another for the ARM processor. Creating a universal app for the same OS would probably have its share of problems running on a tablet. Thurrot was quick to warn that things are not set in stone; he claims that Microsoft is still debating the decision. While a conventional desktop could run on ARM, a Metro-only UI would probably compete better with the iPad models. The decision is not a technical issue. If Microsoft decides to run with a Metro-only experience, why bother to put Windows 8 on tablets at all? Apple’s designs have always been simple and easy to use, a trait Microsoft has struggled with for some time. A simple Metro interface may be what Microsoft needs to compete in an iPad-dominated market. Of course, developers would have to create Metro-style apps; they wouldn’t be able to use the desktop versions. Apps are largely what drive sales for any tablet. With the introduction of the Kindle Fire, the throne currently held by the iPad doesn’t seem as certain anymore. 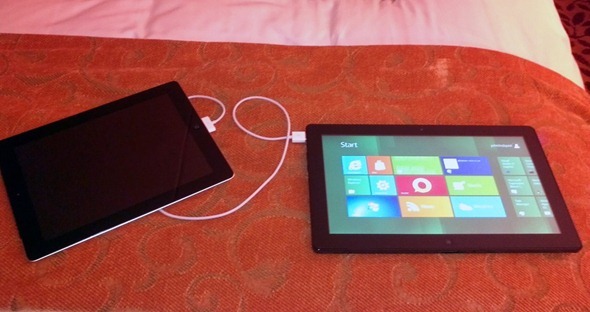 We’ll see how a Windows Metro tablet fares in the tablet war soon.